Our graduate program attracts and trains the best of the next generation of wildlife biologists. We prepare our students for leadership in government agencies, academia, and private conservation organizations by applying the highest standards in science, communication, and collaboration. The strength of the program is reflected in our students’ amazing records of scientific scholarship, outreach, and application, and built on direct and supportive interactions among students and faculty. 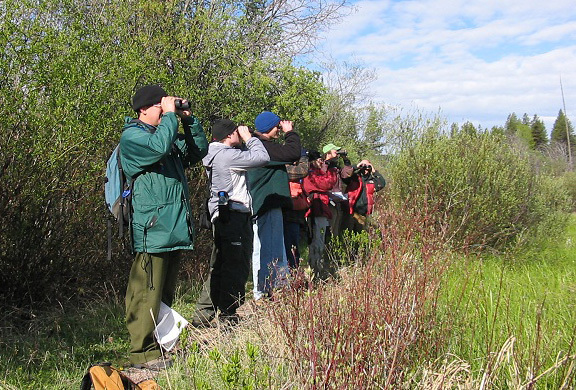 Wildlife biology is a natural for the University of Montana. Due to Montana's relatively low human population density and relatively undisturbed landscapes, Montana is one of the best places to see and study wildlife. The wildlife program at UM has national exposure and recognized expertise, from the pioneering research of John Craighead on grizzly bears, to the presidencies of three of our faculty members of The Wildlife Society (three of our faculty members have been Aldo Leopold Award winners), to the recent editorship of a group of our faculty of a national journal. Current faculty and graduate students carry on this tradition. Missoula has become a center of conservation interest in the inter-mountain west. Located in Missoula are the Region 1 Office of the USDA Forest Service; the Supervisor's Office for the Lolo National Forest; the Forest Service's Forestry Sciences Lab, Fire Sciences Lab, and Aldo Leopold Wilderness Research Institute; local offices of the USDI Bureau of Land Management; the Montana Department of Natural Resources and Conservation; and a Regional Office of the Montana Department of Fish, Wildlife and Parks. Private conservation organizations also have found a focus in Missoula. The national headquarters for the Rocky Mountain Elk Foundation, the Boone and Crockett Club, and the Outdoor Writers Association are located in Missoula, as are local offices of the National Wildlife Federation and Defenders of Wildlife. Numerous regional and local conservation organizations also have offices in Missoula. The environment provides an outstanding opportunity for the cultivation of ideas and potential funding sources for research.